The Academy of Country Music recently hosted ACM Stories, Songs & Stars, a songwriters’ event celebrating country music’s most sought-after songwriters and 54th ACM Award® Songwriter of the Year nominees at the Marquee Ballroom, MGM Grand Hotel & Casino. Hosted by Hillary Scott and Storme Warren, the event officially kicked off The Week Vegas Goes Country as part of the 7th Annual ACM Party for a Cause. Portions of event proceeds benefitted ACM Lifting Lives, the philanthropic arm of the Academy of Country Music dedicated to improving lives through the power of music. Country’s biggest stars including Brantley Gilbert, Little Big Town, Midland, Old Dominion, Jake Owen, Thomas Rhett and Chase Rice took the stage alongside distinguished songwriters Rhett Akins, Ross Copperman, Ashley Gorley, Luke Laird, Shane McAnally, Lori McKenna, Chase McGill and Josh Osborne to perform their collaborative hits. At the end of the evening, Shane McAnally was announced as Songwriter of the Year winner for the 54th Academy of Country Music Awards™. 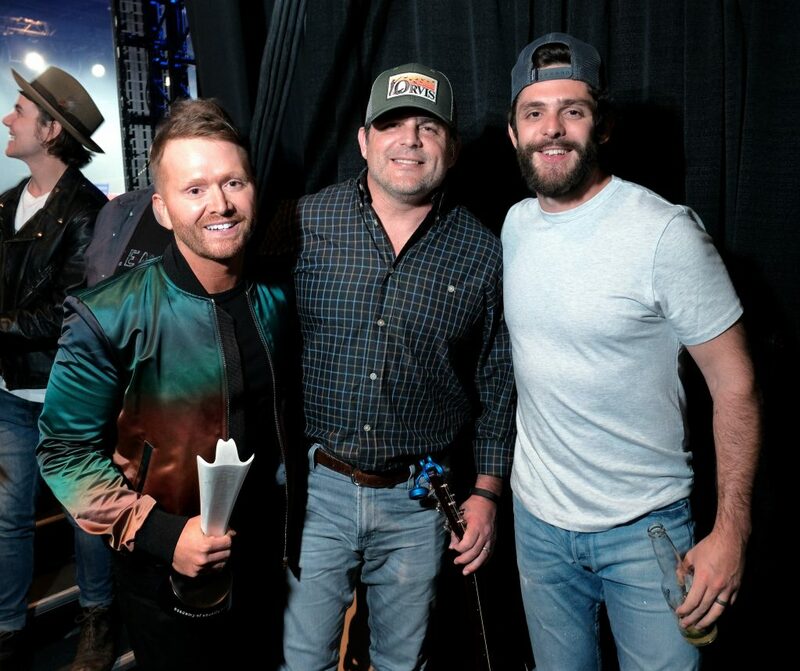 The award was presented by event hosts Scott and Warren, alongside reigning ACM Songwriter of the Year winner, Rhett Akins. McAnally has been the recipient of 19 total ACM Award nominations, and 2 previous ACM Award wins. This year marked his 6th nomination in the Songwriter of the Year category. The 7th Annual ACM Party for a Cause will continue this week with star-studded events including the ACM Lifting Lives Topgolf Tee-off and ACM Decades on Saturday, April 6th and the Official ACM Awards After Party presented by Security Benefit on Sunday, April 7th. Tickets for select events are on-sale now at PartyForaCause.com.